We cover the whole of Spain, from Malaga to Barcelona, from the Canaries to the Balearics, from Jerez to Santander. We help clients from all walks of life and all areas of the globe to achieve a mortgage. Buying a property anywhere is daunting. To then complicate matters, you wish to buy in a foreign country. We at ‘financeinspain’ are experienced and knowledgeable in the market place, we only do mortgages and our 14 years of ‘getting it right’ will give you the confidence to explore this opportunity further. It is important to research what can or cannot be achieved. You must not be afraid to ask as many questions as you can. I have banks that now encourage new enquiries, they want to lend money at competitive rates to the right people. That could be you. You can contact us by enquiry, email, or telephone. Even if you only want to ask what you may consider a ‘stupid’ question, no question is stupid if it sets your mind at ease or enables you to decide that buying in Spain is RIGHT or NOT for you. We are independent, we are very straight talking. If we do not think it is right for you, we will tell you so. No point in pursuing a mortgage that cannot be achieved. That is simply wasting yours and our time. No fee is payable to us until we provide you with a FULL mortgage offer. Do NOT pay to undertake an application............what if it is declined? Where is the incentive for the broker to pursue this further if they have already been paid a 'non refundable deposit'? Click here for our enquiry page and complete the couple of questions, one of our advisors will be in touch immediately. "Our goal should be to convert impossible things into simple ones and not to make something which is very simple in to something impossible." 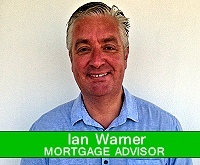 Ian Warner is one of our senior advisors. Ian was a bank manager with NatWest for 23 years before moving to Spain with his family some 14 years ago. He operates now between the UK and Spain offering advice to both new and existing clients. Contact us for our current offers and the latest interest rates.